If you were wondering how many routes there are to climbing Mount Kilimanjaro, this article will take you through the seven established routes. 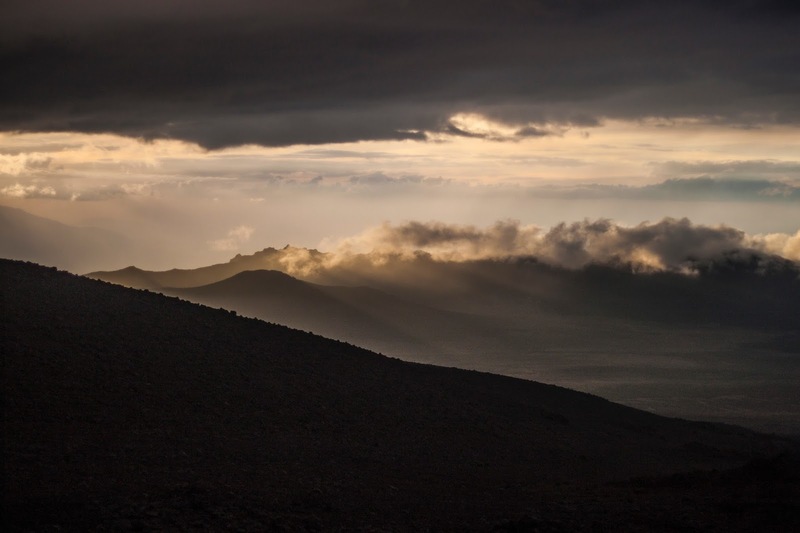 Because selecting a route is a pretty tough choice for most, to find the best route to climbing Kilimanjaro, you’ll want to consider the route's scenery, difficulty, foot traffic and its altitude acclimatization characteristics. The following are routes to choose from: Marangu, Machame, Lemosho, Shira, Rongai, Northern Circuit and Umbwe. The Marangu, Machame, and Umbwe routes all approach from the south of the mountain, with the Mweka route being used only for descending the mountain. The Lemosho, Shira and Northern Circuit routes approach the mountain from the west, while the Rongai route approaches from the north. To help you decide the route that’s most suitable for you, you might want to look at some estimates in terms of percentage, on the routes tourists climbing Kilimanjaro take. The Machame route will be taken by 45% of tourists, whilst the Marangu route takes 40%. Lemosho is on 8%, Rongai 5%, Shira 1%, and the Northern Circuit shares 0% with Umbwe. Generally, the way to determine the most popular routes is by looking at those with the most favorable combination of high success rates, excellent scenery, and low foot traffic. 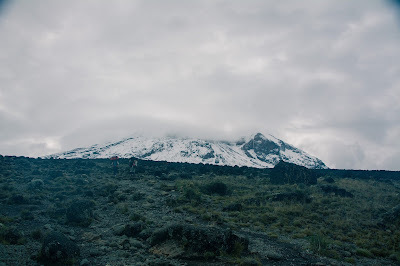 Otherwise known as the "Coca-Cola" route, the Marangu route is a classic Mount Kilimanjaro trek. It is certainly the oldest and most well established route. This particular route is favored by many because it is considered to be the easiest path on the mountain, given its gradual slope. It is also the only route which offers sleeping huts in dormitory style accommodations. 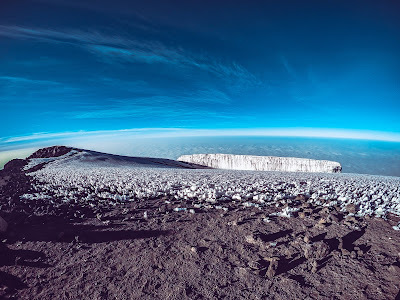 The minimum number of days required to climb Mount Kilimanjaro via this route is five, although the probability of successfully reaching the top in that time period is quite low. It is also highly recommended that you spend an extra day acclimatizing when climbing Kilimanjaro using the Marangu route. Yes, the Marangu route is immensely popular but operators tend to avoid leading climbs on the Marangu route. The reason being, the route has the least scenic variety of all the routes because the ascent and descent are done on the same path, which makes it the most crowded route for that reason. 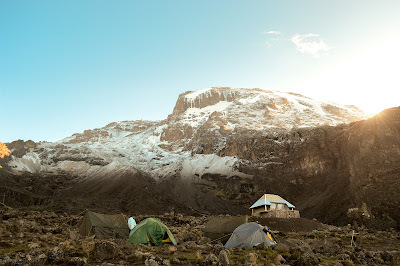 Marangu is a favorable route during the rainy season, where hut accommodations are preferred over wet ground; and for those with five days to kill climbing Mount Kilimanjaro. Otherwise, the Marangu route is considered a poor choice. If you were a little puzzled as to what route to take up Africa’s highest mountain, I’m sure this article has shed some light on the options available. If you are a little concerned about your fitness level for the high altitude, then you will find comfort in knowing that your body will get in great shape for the Kilimanjaro climb with physical training to prepare you for altitude. Understandably, and this may come as no surprise, the ability to adjust quickly to the changing oxygen content is largely genetic. 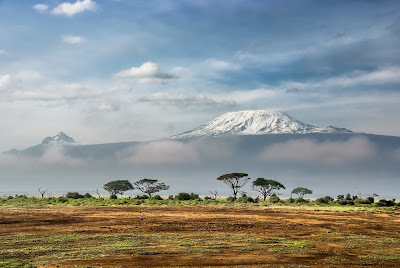 According to documented success rates, some people can climb Kilimanjaro in as little as 5 days (not recommended), while some still fail with 8 days. It is basically impossible to predict how well a prospective climber will fair in an oxygen deprived atmosphere until he or she is actually in that environment. High altitude training systems enable climbers to pre-acclimatize at home, thereby drastically improving their success rate, safety and enjoyment of the Kilimanjaro climb. The more you undergo altitude training in systems that simulate high altitudes, the more you’ll induce beneficial biological adaptations in the body. For this, you can go to high altitude places to help pre-acclimatize to high altitude before your trip. It may come as a surprise that all climbers should have a medical check prior to attempting the Kilimanjaro mountain climb. And the best place to start is to ask your doctor if high altitude trekking is permissible for your age, fitness level and health condition. And make sure your doctor ascertains whether or not you have any preexisting medical conditions that can cause problems on the climb. Ask if any of your medications can affect altitude acclimatization. And if you find that you have medical issues that can make climbing Kilimanjaro more dangerous for you than the average person, it is recommended that you inform your tour operator before you book. The medical issues in question would include but not be limited to: spine problems; circulation problems; internal problems such as diabetes, hypoglycemia, intestinal or kidney problems; respiratory issues like asthma; high or low blood pressure; head trauma or injury; heart conditions; blood disease; hearing or vision impairment; cancer; seizure disorders; joint dislocations; sprains; hernia. You’re probably wondering what the minimum age for climbing Mount Kilimanjaro is. Well, just so you know, the minimum age is 10 years old. There is no maximum age. However, because the climb is strenuous it will present health risks to people in high risk categories. That being said, serious consideration should be given to anyone under the age of 18 and over the age of 60. For those climbers on the extreme end of the age spectrum, consulting a doctor is highly recommended. If your resting heart rate is under 100 beats per minute, you will qualify for the minimum fitness requirement. Please note that before you climb, your resting heart rate will be checked. And if your resting heart rate is above 100, you will be required to see a local doctor for approval, prior to the climb. Just for your information, the average resting heart rate is 60-80 beats per minute. If you’re the kind of person that wants to climb Mount Kilimanjaro, I hope this article helps you adequately prepare for your exciting adventure. It is quite common for climbers to over pack and to bring way too much gear for the climb. You’ll want to be very selective in what you take with you. Mount Kilimanjaro porters are limited to carrying 33 lbs (15 kgs) of your personal belongings. Therefore, everything that they will carry for you between campsites should be placed inside a duffel bag. And that includes your sleeping bag. That being said, it is okay to pack the sleeping bag separately if necessary. If you plan to rent a sleeping bag, please note that the bag alone weighs 5 lbs 6 oz. and that this additional weight will count against the 33 lb limit. What’ll generally happen is porters will place both your duffel bag and sleeping bag into a large, sturdy, waterproof bag with a roll-top closure. A word of caution: If you carry excess weight, you will be required to hire an additional porter. It is rare for climbers to require an extra porter. Only in special cases, such as for carrying extensive photography equipment, that this can be allowed. Warm sleeping bags are available for rent on location, and so are trekking poles, but you are expected to bring everything you need. Whatever extra items you won’t be using on your Mount Kilimanjaro climb, such as extra luggage, safari clothing, gear and equipment, can all be stored safely at the hotel. Due to environmental concerns, plastic, recyclable water bottles are not allowed in the park. So, water should be carried in Nalgene bottles, water bladders, or similar devices. It is recommended that you carry 3-4 liters of water with you at all times, ideally. And please do not bring any alcohol. In fact, alcohol is illegal in the park. Just so you know… alcohol and high altitude do not mix well at all. In case your airplane checked luggage got lost or delayed on the way to Tanzania, it is advisable that you should be prepared, by perhaps wearing or carrying on the items that are essential to your Kilimanjaro climb. Although most equipment, clothing and gear can be replaced in Tanzania prior to your climb, there’s always the odd item that you should not replace. By wearing one complete hiking outfit on the plane, and a long sleeve shirt, hiking pants, underwear, socks and hiking boots, you will at least have climbing gear on you just in case your luggage didn’t arrive at Kilimanjaro International Airport with you. Make sure you bring in your carryon baggage, the following items: backpack, waterproof jacket and pants, insulated jacket, fleece pants, snacks, toiletries, medications, camera and all paperwork. Please note that airline regulations do not allow you to carry trekking poles on the plane. Wearing a different pair of boots on your climb will likely cause blistering, therefore, make sure you wear or carry your hiking boots, and if by any chance your baggage is lost or delayed, please make sure that you notify your tour operator on your arrival so they can assist you in assembling the necessary gear. There are a few local, independently owned rental gear shops in Moshi. Note that these shops generally carry second-hand items that may not be up to Western standards. Hence, the fit, quality or functionality of items found in local shops can’t be guaranteed. If you are planning a climbing adventure up Africa’s highest mountain, Mount Kilimanjaro in Tanzania, you are going to need specific technical clothing. The following, therefore, is a list of items you must carry with you. A Waterproof Jacket is essential. No doubt about that. It can get rather wet and moist up there; and your jacket must be breathable and with hood. You’ll also require an insulated jacket, synthetic or down; a soft Jacket, fleece or soft-shell. You musn’t forget a long Sleeve Shirt, that’s light-weight, and with moisture-wicking fabric. A short sleeve shirt also comes in handy, and you’ll want one that’s light-weight, and with moisture-wicking fabric. Moving down to the pants department, here’s what you’ll need to carry with you: Waterproof Pants, breathable (side zipper recommended); Hiking Pants, Fleece Pants, Shorts (optional), Long Underwear with moisture-wicking fabric, normal Underwear with moisture-wicking fabric recommended; 2 Sport Bras (women), Headwear, Brimmed Hat for sun protection; a Knit Hat for warmth, and a Balaclava or Buff for face coverage (optional). Handwear is essential on this trip, also. So here’s a list of stuff you need to carry with you. A pair of Gloves, warm (waterproof recommended); and thin Gloves. Your footwear must include Hiking Boots that are warm, waterproof, and broken-in; a pair of Gym Shoes, to wear at camp (optional), 3 pairs of Socks—wool or synthetic; 1 Gaiters—waterproof (optional). Your list of accessories would include Sunglasses or Goggles; Backpack Cover—waterproof (optional); Water Bottle (Nalgene, 32 oz. ); a Water Bladder (Camelbak type, 3 liters); a Towel, lightweight, quick-dry (optional); a Pee Bottle, to avoid leaving tent at night (recommended); Stuff Sacks, Dry Bags or Plastic Bags in various sizes to keep gear dry and separate. Your Equipment list will need to include a Sleeping Bag, warm, four seasons; a pair of Trekking Poles, collapsible (highly recommended); Head lamp, with extra batteries; a Duffel bag, 50-90L capacity, for porters to carry your equipment; and a Daypack, 30-35L capacity, for you to carry your personal gear. Please note that this particular item can also be rented on location. Wet Wipes (recommended), Snacks—light-weight, high calorie, high energy (optional); Electrolytes powder or tablets (optional), Camera with extra batteries (optional), Paperwork, Trip Receipt, Passport, Visa (available at JRO), Immunization Papers, Insurance Documents. Just to help you locate these items, we can recommend a couple of online stores: backcountry.com, moosejaw.com and usoutdoor.com for all of your gear needs.